Fred Beckey is coming to The Mountaineers to celebrate the launch of a film chronicling his life, "Dirtbag: The Legend of Fred Beckey". Join the legendary mountaineer for a rare slideshow presentation and a first look at the extended film trailer. Fred Beckey got his start climbing with The Mountaineers in the 1940s, and went on to establish himself as the original dirtbag. We don't need to tell you he's a legend, and we're excited to invite you to a Kickstarter Launch Party for the brand new documentary, "Dirtbag: The Legend of Fred Beckey". Join us on July 26 to meet Fred and see a rare slideshow presentation. The evening will also be your chance for an exclusive first look at the extended film trailer. Fred Beckey, aged 93, is the original American “Dirtbag” climber whose name has evoked mystery, adulation, and vitriol since the 1940s. Beckey’s stubborn, singular quest to conquer peaks meant a solitary life on the road where he left a long trail of scorned climbing partners and lost lovers in his wake. The groundbreaking life story of this reclusive rebel, who inspired generations of climbers to head for the mountains with his monumental first ascents and eloquent books, is told for the first time in this exclusive documentary film. Hailed as one of the most prolific, influential climbers of all time, Fred’s adventures began in Washington’s North Cascade range with his brother Helmy in the 1930s. In 1942, the Beckey brothers cemented their place in climbing lore when the teenagers survived an incredible second ascent of Mount Waddington––considered the most difficult climb in North America at the time. This success marked the beginning of Fred’s epic tear of first ascents around the world, during which he became the consummate “Dirtbag” climber: defined as one who forgoes the pursuit of material comforts and defies societal norms in order to pursue a nomadic mountaineering lifestyle. Through the 1950s and 1960s, Fred’s accomplishments exceeded anyone in the sport. He shattered records with an unparalleled string of superhuman first ascents, bushwhacking trails and pioneering direct routes thought previously impassable. He eschewed fame, sponsors, family life, and the politics of the sport so that his only obligation would remain conquering the next summit. Fred’s individualistic attitude led to him being passed over when the first American team was formed to summit Mount Everest in 1963, but the exclusion only drove Beckey to seek more summits, as he continues climbing to this day. Still obsessed with the mountains and planning ambitious expeditions at age 93, the man who once bounded up granite and ice with graceful elegance and ease is now challenged with the simplicity of everyday life. Fred has slowed physically, but his zeal for the outdoors has not waned, and he is still steadfastly plotting new routes up undiscovered ranges for the next generation of climbers and explorers. Throughout his exceptional life, Fred kept meticulous personal journals where he mused on everything from arcane geology to his dalliances with many beautiful women to the myriad sunrises he witnessed from vantages not seen by man before. An environmentalist before there was such a word, Fred used these journals as the basis for authoring 13 essential books that help connect aspiring climbers to the mountains. The film will combine animations of Fred’s personal journals, guidebooks, and photographs, with breathtaking aerial photography, motion graphics, and rare archival footage to weave together the tapestry of this complex man’s life. More than 30 additional interviews with some of the world’s greatest climbers––including Yvon Chouinard, Layton Kor, Conrad Anker, Royal Robbins, and Reinhold Messner––attest to Fred Beckey’s legendary stature, environmental advocacy and iconic impact on the alpine world. 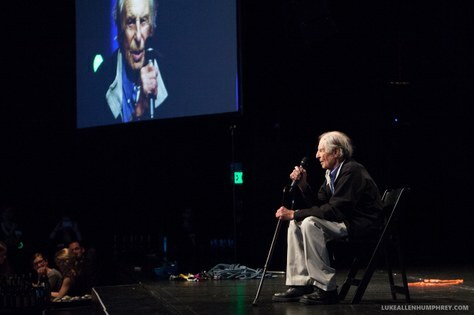 Director Dave O’Leske spent the past decade filming Fred Beckey with unprecedented access, getting to know the mythical man in the mountains of China, across North America and in his Pacific Northwest home. O’Leske partnered with a crew of award-winning filmmakers––Producers Jason Reid, Andy McDonough and Colin Plank, Co-Producer Adam Brown, Co-Exec. Producer Colin Baxter and Editor Darren Lund––whose past credits include the hit climbing documentary K2: Siren of the Himalaya (2012), the Webby Award-winning Sonicgate: Requiem for a Team(2009), the Emmy® Award-winning Man Zou: Beijing to Shanghai (2010) and the narrative drama EDEN (2013), which won Audience Awards for Best Narrative at SXSW and the Milan International Film Festival. For sponsorship, partnership and distribution inquiries, please contact info@dirtbagmovie.com. Visit www.dirtbagmovie.com and sign up for the newsletter to get an exclusive first look at new bonus content and announcements throughout the campaign! 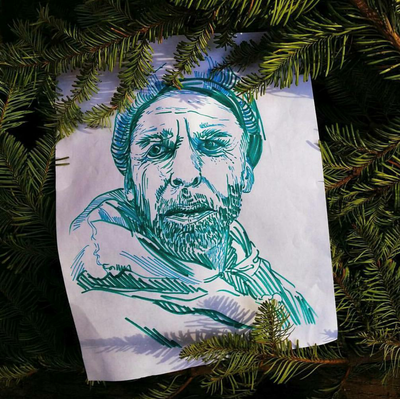 Fred Beckey Portrait created by nikki frumkin (drawn to high places), a local artist and adventurer.